This recipe is dedicated to Comestiblog who made the request! This is the complicated one. I will come with two more, far simpler! 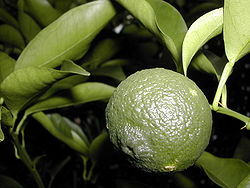 The Japanese use yuzu, both young and ripe, depending whetherit is used for seasoning or making dessert. 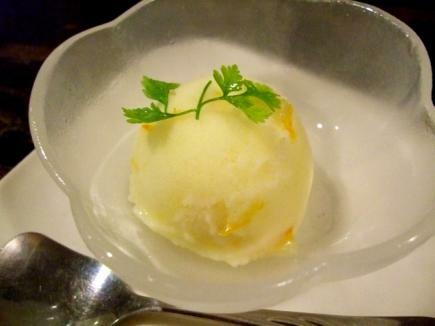 For this recipe, use ripe yuzu. 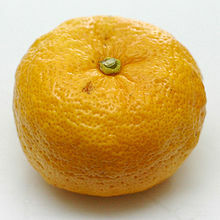 -Peel off 2 of the 3 yuzu and chop finely, or grate them off directly from the fruit. Peel the third one into thin strips (about 1 cm long) to be cooked in syrup to be used for decoration later. -Press the juice off the 3 yuzu. You should obtain about 75 cc/ml of juice. Depending on the size and maturity of the fruit, you might fall short of your target. Either complement with water or an additional fruit. Add the finely cut/grated yuzu zests/skin to juice. Cook for a while to obtain a jam mixture. Let cool completely and work it smooth with a blender. Add wine and put inside freezer. Peel off the zest/skin of 1 yuzu, cut into thin strips and chopp finely again across the legth. Boil in water for 1~2 minutes. In a small pan, pour 30 cc/ml of water and 30 g of sugar. 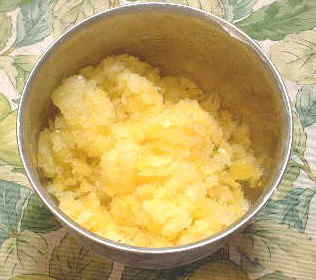 Drop in the chopped yuzu zest/skin. Lower the fire to low and simmer for 5 minutes. Let cool completely and store inside the fridge. 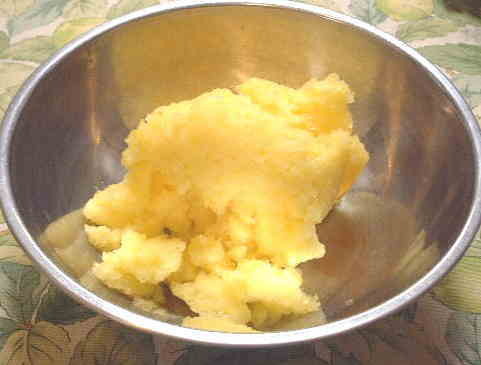 -Take out yuzu/wine mixture out of the freezer, break and mix with a fork and put back inside the freezer. Repeat the operation twice, leaving enough time in between to allow the mixture to freeze again. -In a small pan pour 50 cc/ml of water and 50 g of sugar. In that order, please! 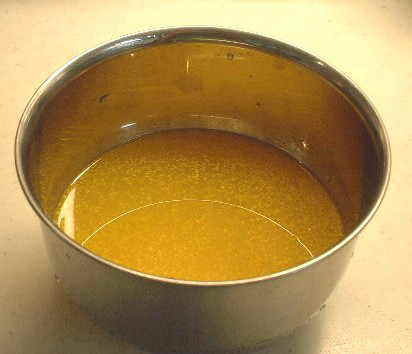 As the quantity is small, heat on a lower fire until dissolved. While the syrup is dissolving, beat the egg white in a clean bowl. Add the sugar to egg white and beat again until “hard”. 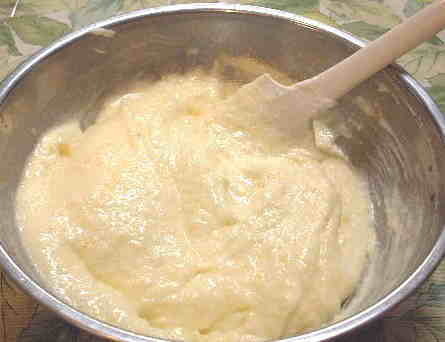 Using an electric had mixer at middle speed, add the syrup little by little in a very thin thread, beating all the time. 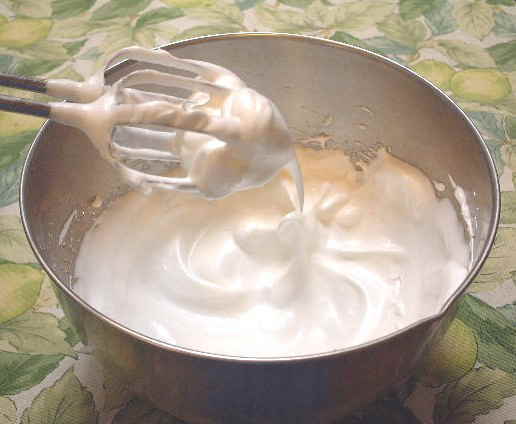 When all the syrup has been included, raise the speed and beat until to obtain a very smooth meringue. 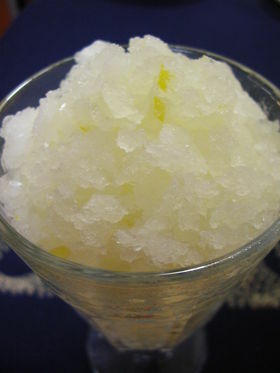 Take the frozen yuzu/wine mixture. Break and mix with a hand mixer. Take care that it does not melt! Use a patula or fork if you think that the hand mixer will melt it. You should obtain the mixture as shown in above picture. 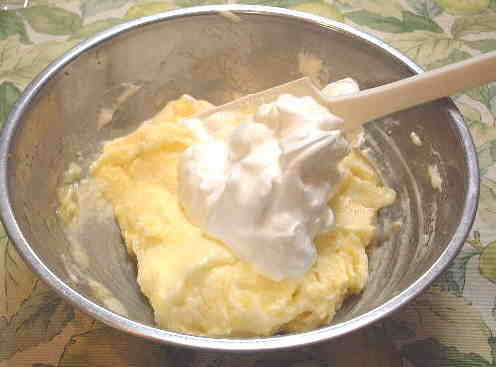 -Add half of the Italian meringue and mix carefully. -Add the second half of the Italian meringue. Mix quickly but well. -When serving, make sure it is well frozen. This recipe is also dedicated to Comestiblog who made the request! It is the frist of simpler recipes! -Clean the yuzu throroughly. Grate the skin/zest of two of them. Peel 1 more and cut skin/zest in very thin strips. Set apart. Press out all the juice. Ypu should obtain 75 cc/ml (if not, press another one!). -In a small pan pour the water and add 80 g of sugar (in hat order!). Bring to boil. Once the sugar has completely dissolved, add the thin yuzu strips. Switch off fire and let cool completely. -In a bowl drop the egg whites. Add 20 g of sugar. Beat until “hard”. 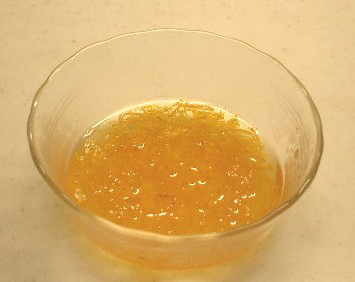 -When the yuzu syrup has completely cool down add the grated yuzu skin/zest and white wine. Mix well. -Add the meringue little by lttle and mix. Put the whi\ole into a Tupperware and leave inside freezer. Take out every 2 hours (3 times in all should be sufficient), break with a spoon and mix and put back into freezer. -Break and mix again before serving in a glass of your choice! -You can either replicate the recipe with oranges, lemons or grapefruit, or experiment with mixtures of all!